Whatever Your Needs, We Can Provide Safe, Professional Storage solutions to suit all needs. There are many reasons why you might need to store furniture : between moving homes, during a temporary job reallocation, works are carried out on your existing home, or simply down to lack of space in your home. 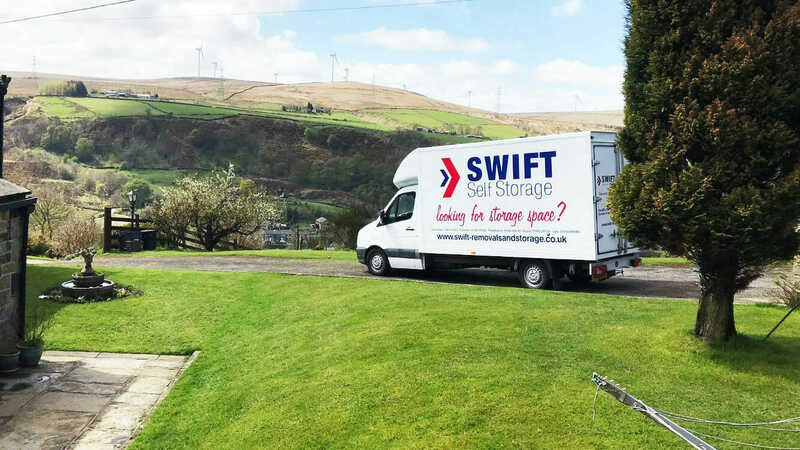 Whatever the reason, if you need to store some of your household goods for a few days, weeks, or indefinitely, you can rely on Swift Removals to cater for your needs. You can be rest assured that your belongings are in safe hands as our warehouses are purposely designed to cope with the elements, and are fully protected against intruders by sophisticated electronic alarm systems and CCTV. We have a wide range of services available to our customers and can ensure the highest quality of storage facilities and peace of mind your belongings are safe at all times with 24/7 surveillance and security. Whether you need self storage for your household, business or any other need we can help you. We are based in a great location on Tewkesbury Industrial estate with great access from the motorway, Tewkesbury, Bishops Cleeve, Stoke Orchard, Evesham, Pershore, Malvern and surrounding areas. We regularly have special offers on so feel free to ask our members of staff the latest deal we have on for you. We can also offer removals service or a man and van service to bring your items to us or away from us when you dont need to use our self storage facilities. Containerisation is the modern form of storage for household goods – clean, secure and ideal for long-term situations, as all goods are loaded into containers either at your residence or at store and everything remains sealed from that moment until the day it is returned. Swift Removals maintain a substantial storage space for items unsuited for containers or requiring special maintenance whilst in storage. This method is more flexible. Every item is wrapped and dust-protected. You can inspect your goods by arrangement and single items can be added or taken out of storage. It’s very simple. 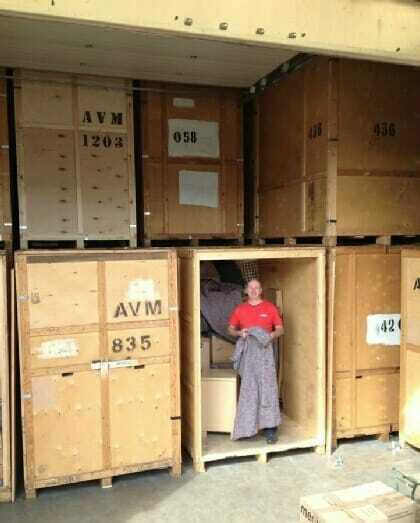 Swift Removals will collect the items for storage from your home. We will pack all the small items into boxes and wrap larger items to stop them from getting dusty or damaged. 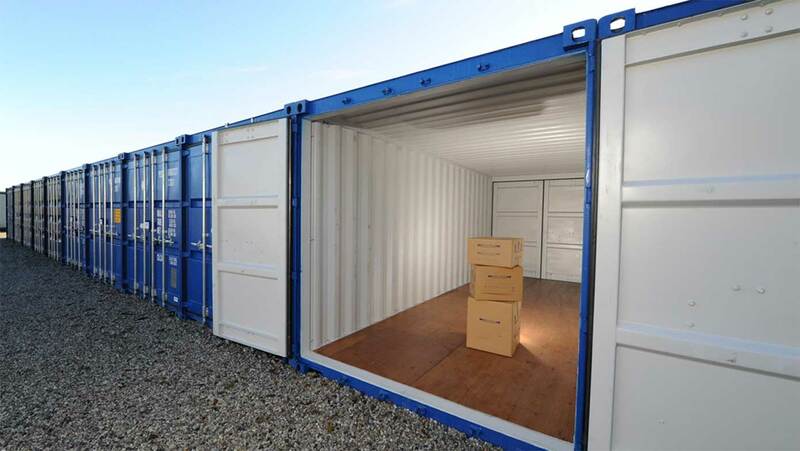 The containers are then stacked carefully inside our warehouse and will be untouched until you want your goods back, when the containers can be fork lifted onto the removal vehicle for delivery. This system involves minimal handling, whilst still ensuring that your furniture and effects are protected. Nobody needs to have access to your things at any time during storage. The boxes are stacked up to four high and very close together, making it impossible for unauthorised people to open them –even our forklift is kept in a separate warehouse from our storage containers. Our warehouses are secure and alarmed, with our sites having closed circuit TV surveillance. You can access your things whilst in store, but wherever possible, please let us know if there are any items you may wish to retrieve before collection. This means that as we load our containers, items you may need (seasonal clothing, etc) can either be kept in a separate container, or at the front of one. Please label or identify all items for storage clearly. It is your job to make sure that nothing is left out or included inadvertently. Make sure that ‘white goods’ (freezers, fridges, washers, etc.) are turned off a few days early and thoroughly dried out – they will cause mildew if packed wet. Ensure that everything is clean and dry, particularly things normally used outside (bikes, garden tools, etc.). Work out the value of the goods for insurance purposes.